Have you purchased farm fresh eggs and need to know how fresh they are? 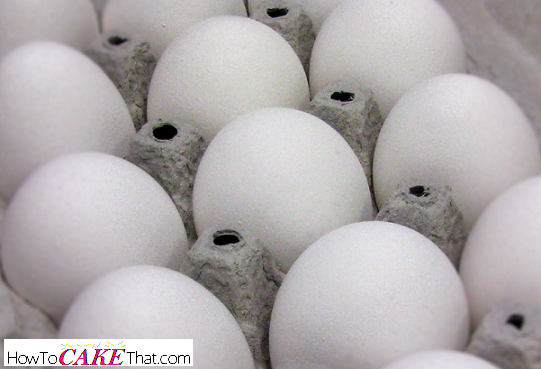 Or do you have grocery store eggs that are near the expiration date and need to double check that they are still safe to use in your cake or cookies? Well, I'm going to share an old farmer's trick with you that will show if your eggs are still fresh enough to eat! All you need for this test is a glass or a bowl of cold water! Gently place the egg in the water to see if it sinks or floats! If the egg sinks to the bottom and lays on its side, it is very fresh (only a few days to one week old). If the egg sinks to the bottom, but sits tilted or stands up on one end, it is about one to three weeks old. It is still safe to use. As an egg ages an air pocket forms inside of the egg causing one end of the egg to rise up when submerged in cold water. If the egg floats, it is more than three weeks old. A floating egg is bad and should not be consumed. The air pocket inside of the egg has increased in size and is filled with oxygen and gasses, meaning the egg is rotten. Toss it immediately.